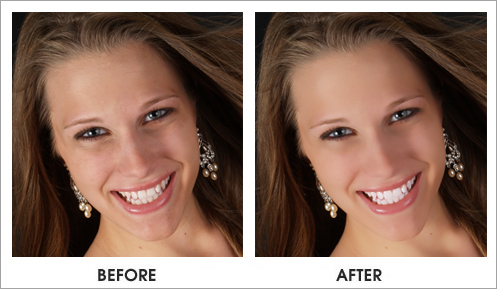 Our exclusive Glamour Touch® retouching is an excellent way to help you look your best in your portraits. For a nominal fee, Glamour Touch® retouching can soften facial lines, whiten teeth, brighten eyes, remove blemishes and even remove heavy acne and braces along with other special requests. See store for details and samples of each level of Glamour Touch®.